Charlie Nicholes Holmberg was born in Salt Lake City, Utah to two parents who sacrificed a great deal to give their very lazy daughter a good education. As a result, Charlie learned to hate uniforms, memorized all English prepositions in alphabetical order, and mastered the art of Reed-Kellogg diagramming a sentence at age seven. She entered several writing contests in her elementary years and never placed. Being a nerd, Charlie started writing fan-fiction as a teenager in between episodes of Star Trek: The Next Generation. She became a full-fledged band geek with mediocre talent in high school, where she met her husband Jordan Holmberg. While she strove to win his attention by baking him cookies and throwing ramen noodles at his house, he didn’t actually ask her out until six years later. 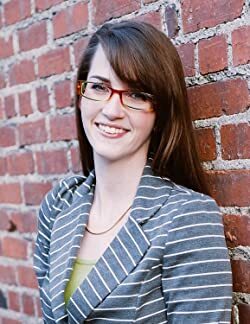 Charlie began taking writing seriously during her undergrad at Brigham Young University, where she majored in English and minored in editing. She finally won a few writing contests. She graduated with her BA in 2010 and got hitched three months later. Shortly afterwards, her darling husband dragged her to Moscow, Idaho, where he subsequently impregnated her. In summer 2013, after collecting many rejection letters and making a quilt out of them, Charlie sold her ninth novel, The Paper Magician, and its sequel to 47North with the help of her wonderful agent, Marlene Stringer. Someday she will own a dog. 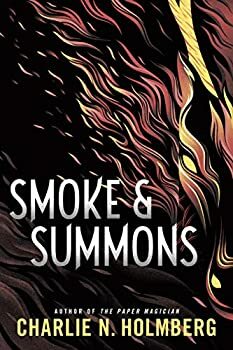 Click here for more stories by Charlie N. Holmberg. 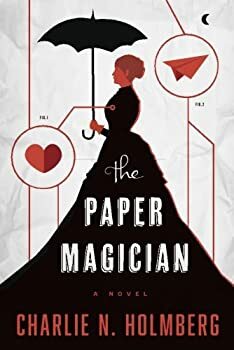 The Paper Magician, by Charlie N. Holmberg, has a nicely original premise and a unique heroic quest, but the overall impact is marred by a trite romance, a somewhat flat main character, and a sense that it all goes on a bit long. Maire, a baker in the small village of Carmine, is notable for two unusual characteristics. First, other than her name, she has complete amnesia about everything in her life up to the time she appeared near the village four and a half years ago. And secondly, Maire has the magical gift of infusing her baked goods with feelings and abilities that will be absorbed by the person who eats her food: strength, love, mercy, patience ... even, it seems, some magical abilities.